This entire country seems to move to a Cuban rhythm, as if its beating heart were percussive and its stories told in song. But there isn’t just one type of Cuban music: salsa, rumba, baroque, jazz, son cubano and many others can be heard on any single day in Havana. Many of these are unique to Cuba, where West African and European influences have merged in this steamy cultural hot pot. African slaves and their descendents made instruments native to their homeland, and brought their rhythms and traditions of music and song-telling to Cuba. The Spanish contributed their guitars and musical notation; the Chinese brought their reed instruments; and Africans are to thank for over fifty different types of drum alone. And that is a painfully reductive list. Head to the Museo de la Música to really discover the heritage of the sounds you hear around you. La Casa de la Música Habana in Centro is probably the city’s most famous venue, and still the best place to experience salsa or timba, but it can feel more like a shark pit of hustling jineteros and pushy jineteras than a party. 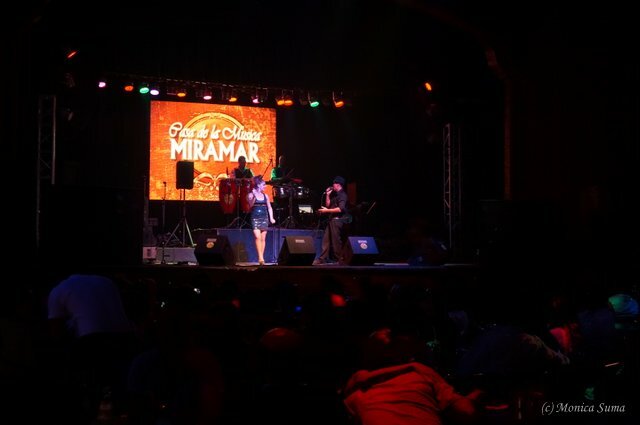 At the sister venue, La Casa de la Música de Miramar, you’ll find more Cubans and less hassle. Hips grinding, bodies twirling with occasional outbursts of applause for the live band getting everyone hot and sweaty on the dance floor, Casa de la Música is all about the moves. For a real local experience, head upstairs to El Diablo Tun Tun. The space is a bit smaller with nice décor and full of Cubans enjoying a cup of Havana Club Silver Dry for $5. Entry is higher for foreigners, but at $5, it’s still cheaper than most the clubs in Habana Centro. The rumba is at the heart of Afro-Cuban culture, evolved from African dance and drumming traditions mixed with Spanish influences. There are three main rhythms and dance expressions: yambú, columbia and guaguancó. The dancing is extraordinary, and particularly difficult to master, especially the energetic Columbia. To witness this in action, head to the sensory overload that is Callejón de Hamel on a Sunday. Between the brightly-coloured murals on every surface, the entire crowd moves to the beating conga drums. The word rumba originally meant ‘party’, which makes sense when you see the action here. For jazz, La Zorra y el Cuervo has been graced by greats such as George Benson and Cucho Valdes. Modeled on an English pub, you enter via a red telephone booth on the street into a subterranean 120-capacity venue: dark, intimate and smoky, just like the jazz club of your dreams. Jazz is beloved by all ages in this country, so the crowd is nicely mixed, tapping along to the freestyle improv. El Salón Rosado Benny Moré, however, is probably the most famous dance hall in the country. If the crowd accepts a band on the stage here, then the rest of the country will follow. It’s wise to check listings before you arrive at the venues mentioned above, as well as the Karl Marx Theatre, or, during summer, look out for free concerts being held in places like La Tribuna Antimperialista. For a taste of contemporary Cuba, head to Café Teatro Bertolt Brecht where a crowd of Cuban hipsters kick back the tables and chairs to dance, none more so than on Wednesday night’s Interactivo. This is also a great after-hours drinking den staying open past other venues. When it comes to pop, Beatles mania at Yellow Submarine takes on new dimensions. By night, the stage is dominated by Beatles cover bands of varying degrees of talent. Don Cangrejo in Vedado is also very popular among the wealthier Cuban set with a restaurant and some good live bands. If electronic music is your thing, Turf, an underground club in Vedado, is where the likes of Giles Peterson, a massive Cuba fan, play when they’re in town. With fewer than 100-person capacity, the party gets going fast. Expect some unusual fusions, such as salsa dub step, as young DJs experiment updating the local sounds with international influences. But the best tip: wander the streets and follow the music you like best. Dance at every opportunity. Don’t know the steps? There couldn’t be a place where it matters less.